The Bundestag’s 2015 budget plan includes a €1.8 million increase in funds for development cooperation. However, civil society organisations are criticising the sum as being marginal, calling for a considerably larger increase. EURACTIV Germany reports. For the first time since 1969, the German government has tabled a budget plan without any new debt. The “black zero” stands for reliability, said German Finance Minister Wolfgang Schäuble on Tuesday (9 September) at the start of budget negotiations in the Bundestag. Allocations for the Federal Ministry for Economic Cooperation and Development (BMZ) in the country’s 2015 budget, are outlined under the section, “Einzelplan 23”. The section features a comprehensive list of the BMZ’s income and expenditures according to origin and destination. Within the German government, the BMZ functions as the coordinator for public development cooperation (ODA). It is responsible for allocating the largest share of ODA-related funds. According to the draft budget, funding in Einzelplan 23 is meant to “keep Germany on a steady financing track, contributing 0.7% of its gross national income (GNI) to ODA”. After the first budget reading in the Bundestag, a number of NGOs criticised the “marginal increase” in funding for development cooperation by only €1.8 million to a total of €6.44 billion. “In this way, Germany is continuing to let development cooperation fall by the wayside,” said a joint press release submitted by the civil society organisations ONE, Plan International Deutschland e.V., Stiftung Weltbevölkerung, Save the Children and World Vision. The group is calling for a considerably larger increase in funds. The German government has made an international pledge to invest 0.7% of annual GNI in development cooperation until 2015. But instead of working toward this goal, NGOs fear the government will continue to reduce the percentage. With the 2013 share at only 0.38% of GNI, Germany’s contribution remains far from the 0.7% target. One of the organisations’ demands is that the Bundestag increase Germany’s annual contribution for the vaccine alliance GAVI from €45 million to €100 million – an amount that would be similar to contributions from donor-countries of comparable economic size. 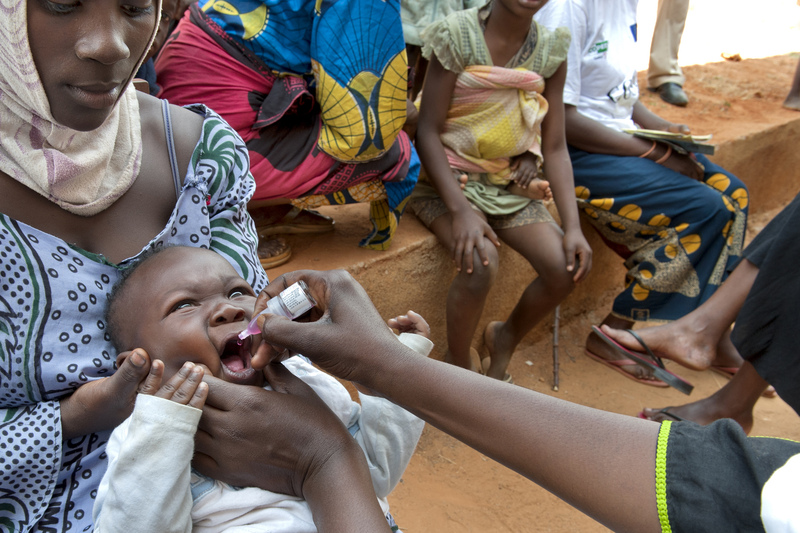 Every year, 1.5 million children die of diseases that could be prevented by vaccination. GAVI, the Global Alliance for Vaccines and Immunisation, is a public-private partnership located in Geneva, Switzerland. The alliance’s target is to save children’s lives and improve the livelihoods of people in poverty stricken countries by offering access to vaccines. Since 2000, the organisation has immunised 440 million children, preventing an estimated 6 million deaths. But GAVI depends on additional funding to expand its reach. “As host of the ‘replenishment conference’ in January 2015, Germany must lead by example and provide greater financial support to GAVI”, the five organisations emphasised. During the last G7 summit in early June, member states – including Germany – called for greater financial support for the vaccine alliance. GAVI’s plan to vaccinate an additional 300 million children by 2020 was especially well-received by the G7 states. Don’t worry Germany, Just tell the UK’s PM Cameron. He will just up the amount we give already away to make up for any German shortfall. We already give away 12 billion for weapons, private jets, Rolls Royce’s and donating to the personal bank accounts of 3rd, 2nd and 1st world political class’s throughout the world. The UK the country that just keeps on giving it all away! !